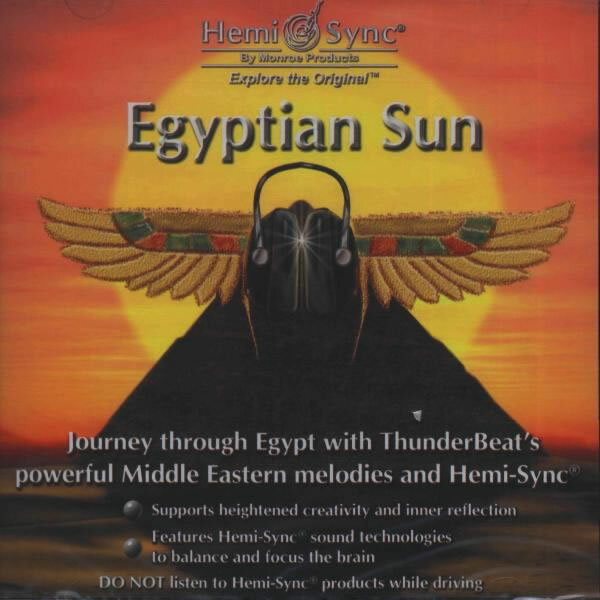 Feel your consciousness expand as your imagination takes flight with this combination of Middle Eastern inspired music and Hemi-Sync®. Using her gift of activational music, ThunderBeat has crafted a powerful melodic experience that transports you to the Egyptian pyramids and temples, places she has personally explored and held sacred ceremony. Instruments include: flutes, violins, gongs, oud, sitar, guitar, cellos, bass, dumbek, tablas, timpani’s, full drum set, keyboards, and chants. Another Metamusic® title by ThunderBeat is Chakra Journey with Hemi-Sync®. Altered state of consciousness, Meditation, Spiritual growth, Shamanic music.